The college admissions process is a curious, fickle game. It’s a stressful time filled with unpredictable outcomes. Sometimes we’re lucky. Sometimes we’re unlucky. And sometimes we’re really, really unlucky. Indeed, every year a handful of college hopefuls find themselves faced with the seemingly unthinkable: getting rejected from every school to which they applied. No doubt it’s a shock to the system. Should you find yourself in that unfortunate position, don’t just keel over and give up on your higher ed. dreams. You must recognize that your college plans are not over. At worst, they are merely postponed. We know it might seem nerve-wracking. Certainly, the last thing you want to do is approach someone who rejected you. However, you can reach out to a school and inquire as to why you were not admitted. Going forward, you can use their insight and criticism to inform the new applications you will fill out. Further, you can also see if a particular school is open to an appeals process. Perhaps your record was incomplete. Or maybe some new information has become available that might convince a school to reverse its decision. It’s definitely a long-shot but it doesn’t hurt to ask! All right, so a local community college might not be what you imagined when you set out to tackle your college apps at the beginning of the year. However, don’t just dismiss it outright. Even if it’s not where you hoped to enroll, community college can still be a fulfilling, meaningful experience. To begin with, registering for classes at a community college ensures that you won’t fall behind your peers. It’s also a great way to knock out your core requirements, leaving you free to explore when you enter a four-year institution (outside of major requirements of course). Additionally, many community colleges maintain arrangements with various state universities, often times guaranteeing transfer to successful graduates (and ensuring your credits will be accepted). And, most importantly, community college is far cheaper than its four-year cousins. If you do decide to enroll in a two-year school, you will need to make sure that any university you consider in the future accepts transfer students and community college credit. You’ll also need to investigate as to whether the standards for transfer students differ from those of first-year/first-time applicants. Not all colleges and universities maintain a strict, singular deadline. Some schools operate on a policy of rolling admission. This means that they’ll continually accept applications until all of their available slots are filled. Other schools (those with late admission) will initially set a regular decision deadline. Once they have rendered all of their initial decisions, should there still be space, they will open up a late admission period. Talk to your guidance counselor about how to identify rolling and/or late admissions schools that might be a good fit for you. 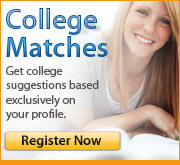 You can also contact colleges directly to see if they are still accepting applications. One thing of which you should be aware: the later you apply, the smaller the pool of available financial aid. Hey, perhaps there is an upside to this rejection! After all, no one ever said you have to attend college directly after you graduate from high school. Maybe you can look at this situation as an opportunity to take a break from the pressures of academics. Think about using this upcoming semester or year as a time to explore potential career interests. You could seek out an internship or a full-time job (leaving you flush with cash when you do finally start school). Moreover, you might spend this time volunteering for an organization or cause in which you’re interested. Who knows, perhaps you could even squeeze in some world travel. Try looking at this time as a gift rather than a punishment or failure. You can use it to your advantage, taking a moment to regroup and reassess what you really want in the future. This brief respite might actually make you a more attractive candidate and it might allow you to become a more focused student when you do begin college. Applying to school is a competitive process. Colleges receive applications from a number of talented, qualified candidates. It’s unfortunate that they cannot accept everyone who is worthy. While you can certainly broaden your chances of admission by applying to handful of schools (do not gamble by only selecting one or two colleges), no strategy is absolutely foolproof. And while rejection is certainly upsetting, it’s important to not wallow in your setbacks. Don’t let yourself be waylaid by temporary defeat. It is simply that – temporary. If you have your heart set on attending college, have faith that you will get there. And understand that when you do finally set foot on campus, whether it’s next month or next year, you have the capacity to succeed.